Click here to download a FREE copy of the Scripture study. The Lord is my strength and my shield; my heart trusts in Him, and I am helped. Therefore, my heart rejoices, and I praise Him with song. Ever feel like you are the last person standing on a dodgeball team against a team loaded with brutes? Does it feel like the hits just keep coming and your strength is depleted? You may not feel like this today or tomorrow, but you for sure have and will again. In those days, and everyday really, we need the strength of God to carry us. We need a strong brute to surround us and fight off all the pesky dodgeballs flying our way. Left to our own, we want to run and hide under the bleachers and hope that no one hears our gasping for breath and the sniffles that accompany the tears rolling down our sweet faces. We need a hero to rush in and save us - to fight for us and help us wipe off our tears and battered clothes. Your hero, and mine, is waiting for us to place our full and complete trust in Him. He sits on the sidelines never taking His eyes off of us. He patiently and lovingly waits for our attention and devotion. He waits for us to put down our arm with the dodgeball we are about to hurl through the air and trust in His love, His protection, and His strength. When we rid our hearts of the idols we have been trusting and rest in Jesus, He strengthens us. He allows us to do all things through Him (Philippians 4:13). He doesn't just place some strength in us and walk away. He helps us and shields us. He surrounds us and dares the enemy closer so He can show him who you belong to - who has your back. Can you imagine all of the things and people the Lord has shielded you from when you are completely trusting in Him? Yeah, me neither. I'm certain the list is quite long. I'd love to see it when I arrive in heaven. You too? The last portion of this verse illuminates what happens to our hearts and souls when we are filled with the Lord's strength - when we trust that we are protected by our Great Shield. We can't help but rejoice with song. 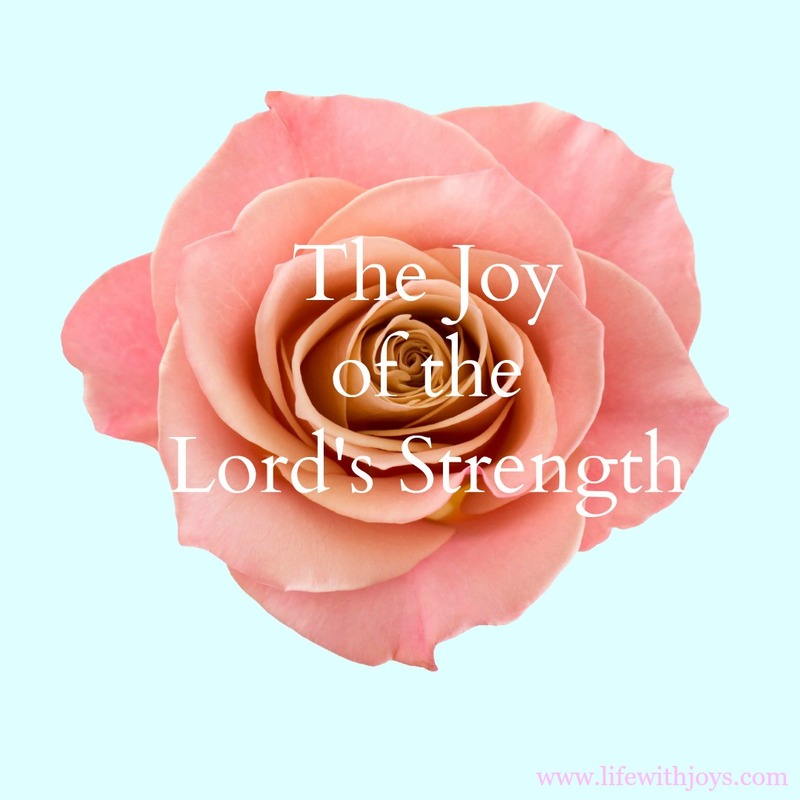 I can recall many occasions when my heart was overwhelmed by the Lord's strength. I knew without a doubt that it was not I who had strength, but the Lord. Left on my own, I would have been a crying heap in a corner with a blanket over my body. I bet you have fond memories of your songs of rejoice too. 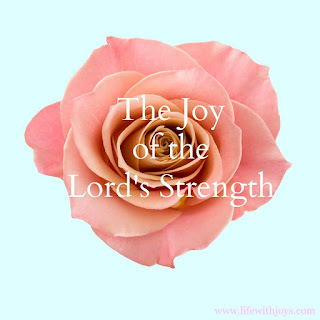 With complete trust, we can sing those songs often and rejoice in the Lord's strength and protection. Oh, how I pray for you as you study and memorize Psalm 28:7. Jesus sees your heart and He is rejoicing over you, sweet one.